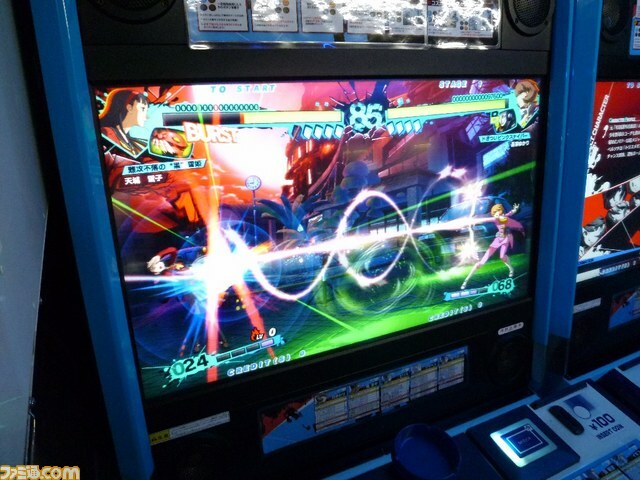 Famitsu dropped a bomb earlier today with a host of images taken from a location test of what appears to be a new Arc System Works fighting game. What could it be? 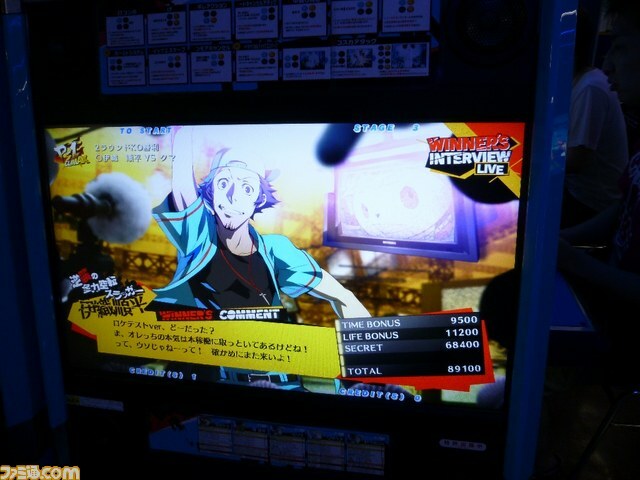 Why, it’s a follow-up to Persona 4 Arena! 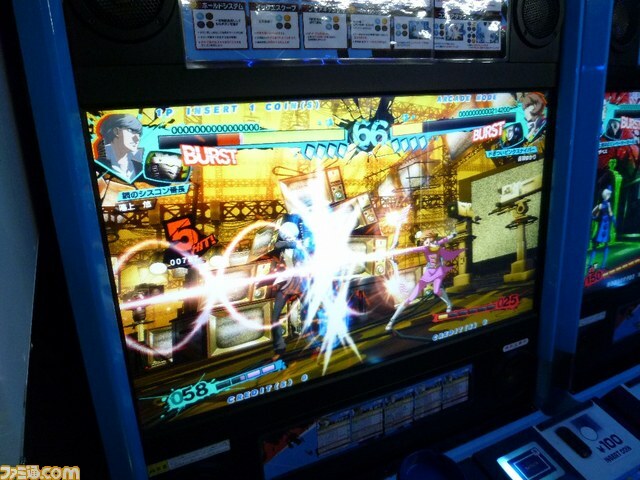 A collaboration between Persona series developer Atlus and Arc System Works, Persona 4 Arena is a fighting game set after the events of Persona 4. The game tells a story about the return of the Midnight Channel and a mysterious fighting tournament called the P-1 Grand Prix. 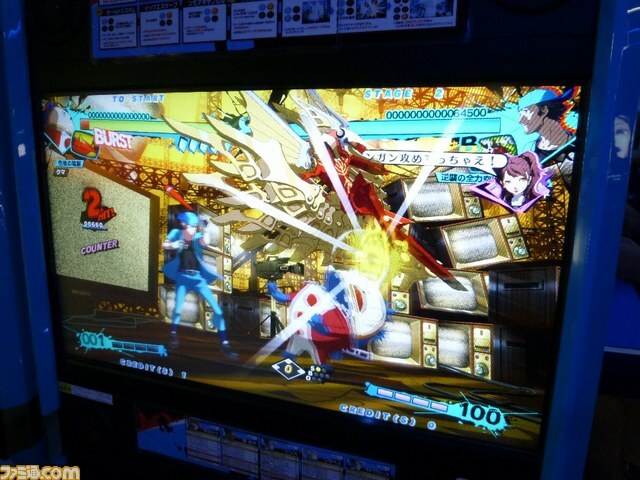 The Persona 4 cast and a selection of characters from Persona 3 become embroiled in the competition and are forced to fight one another as they try to understand what’s happened and how to make things right. Details on the new game are scarce, but there are a few things of note. 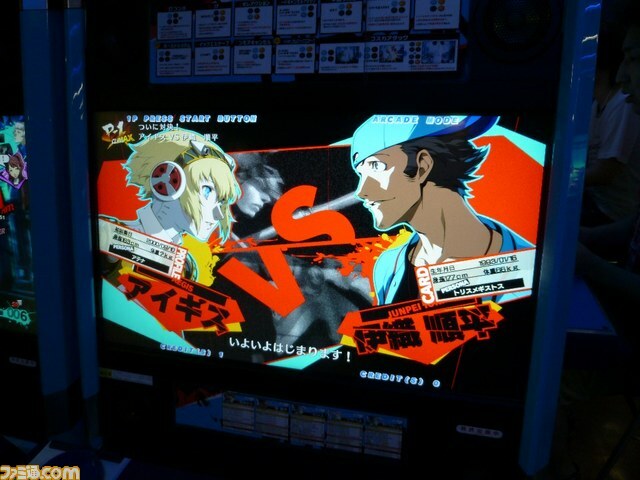 The biggest and most obvious additions are a pair of Persona 3 characters left out of the original Persona 4 Arena roster: Yukari Takeba and Junpei Iori. 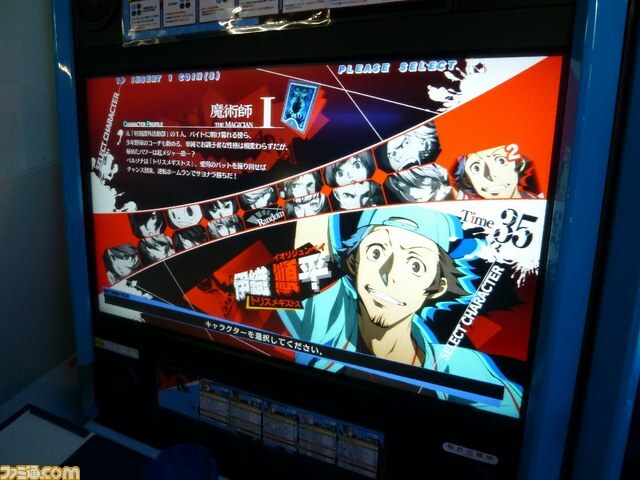 Both characters appear to fight with styles that reflect their Persona 3 appearances—in addition to their respective Personae, Junpei fights with a baseball bat and Yukari is equipped with a bow. It also appears that the gameplay and character balance is receiving some tweaks. 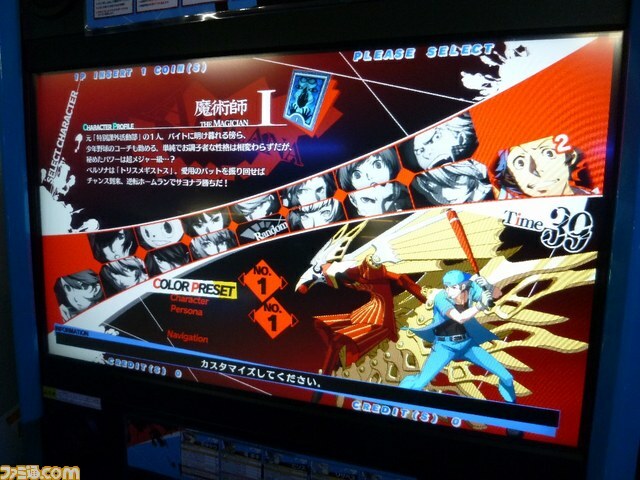 A glance at the UI in some screenshots reveals that characters now have differing numbers of Persona cards in stock. 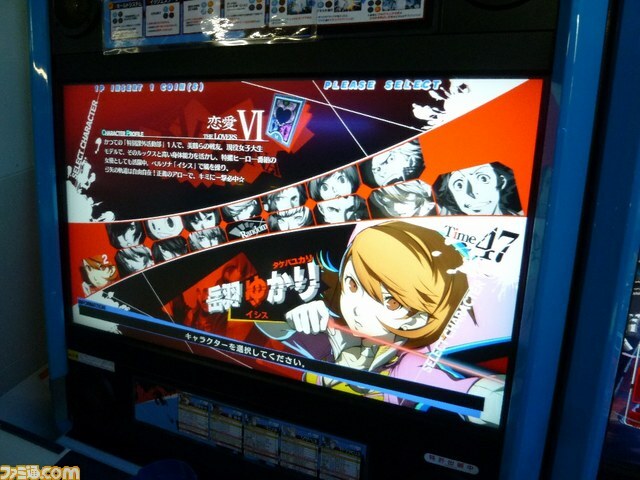 For the uninitiated, the Persona cards serve as a special gauge. 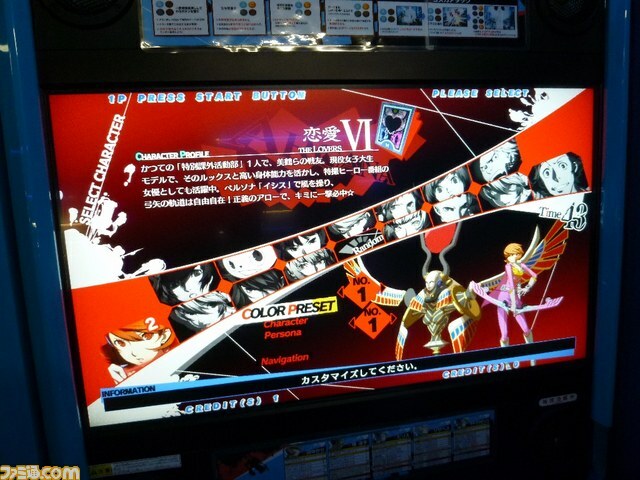 As a character’s Persona takes damage, their Persona cards turn red. 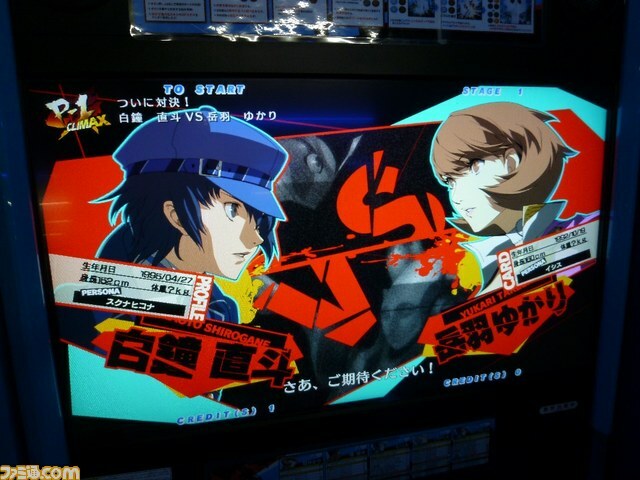 If the cards are depleted, the character is prevented from using his or her Persona for a limited time. 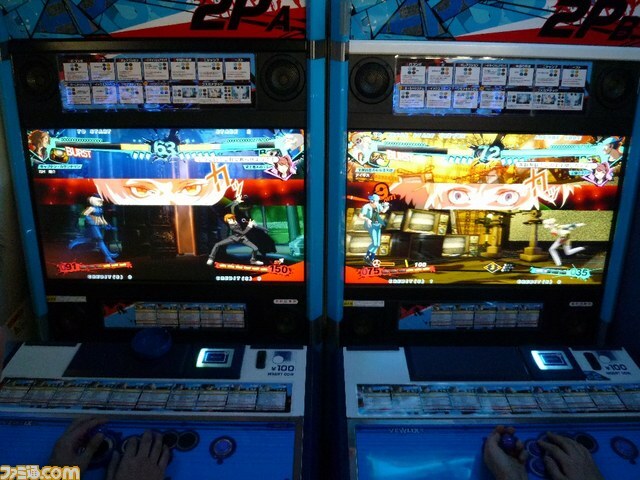 The location test is currently being held in two locations: the Hey Arcade in Akihabara and the Taito Station Nihombashi in Osaka, and it will last from August 16th to 18th. 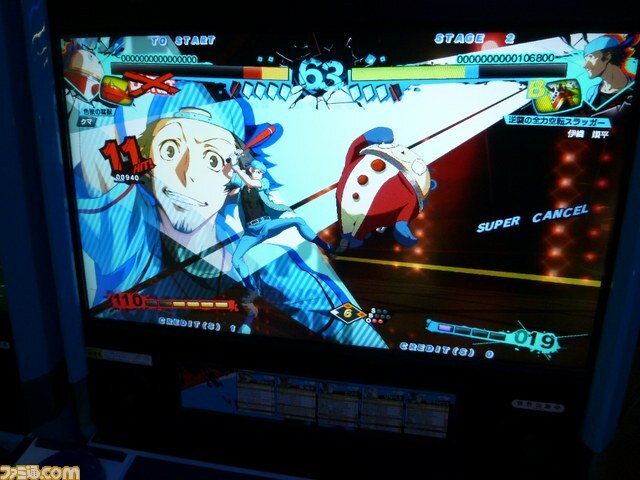 For more on Persona 4 Arena, you can read our review.